Every year, for the past 40-something years, my family has loaded up the car for our annual trip to Tererro, New Mexico. We have a cabin there; actually, it's a log house. It sits on 70 acres on the side of a mountain in the Santa Fe National Forest. 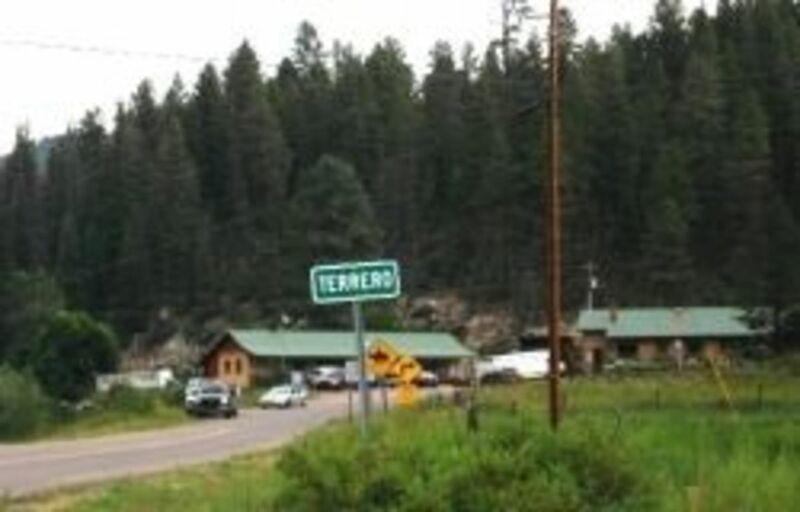 Most people have never heard of Tererro, New Mexico, because it is such a small town. However, once you stay there a few days, you'll return year after year. Why? It's a beautiful setting, the weather is great, the river is full of rainbow trout waiting to be caught, and there is plenty to do! Have you heard of Tererro? Tererro, New Mexico was originally a mining camp. In the late 1880s, the camp began mining copper. By the mid 1920s, lead, silver, gold and zinc were also mined in addition to copper. The name of the camp was changed to the "Pecos River Mining Company", and became one of the largest producers in New Mexico of lead and zinc between 1927 and 1939. When profits increased, The American Metal Company invested in the Pecos River Mining Company. The town grew to a population of around 3000 people, and had a school, hospital, restaurant, jail, boarding houses, dance halls, a post office, and a "red light district". In 1939, there was a strike at the mining camp, and eventually the miners left Tererro. 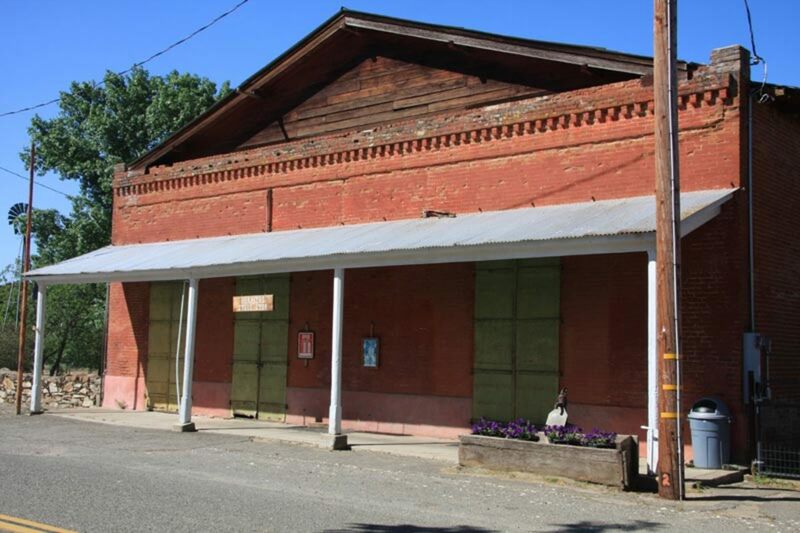 A contract was made between the state and The American Metal Company to restore the town to a wilderness area when the company left. Where is Tererro, New Mexico? 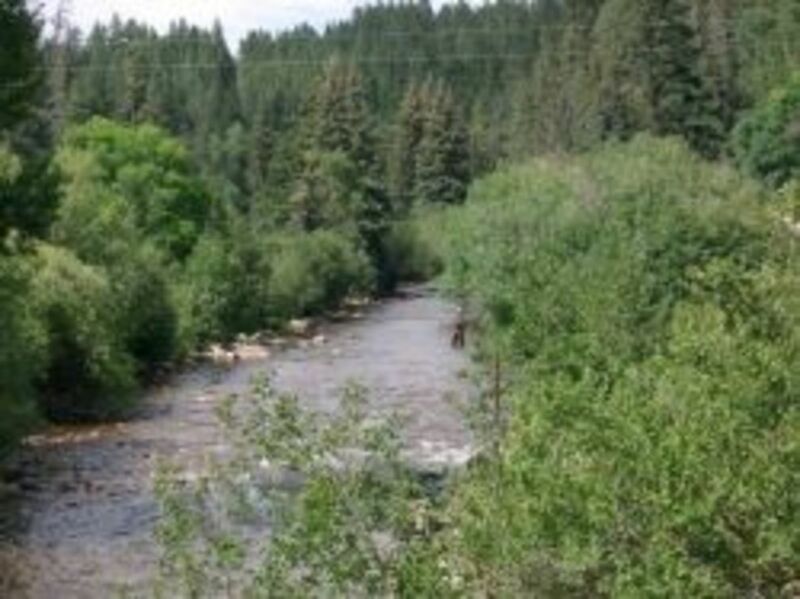 Tererro, New Mexico is on the edge of the Pecos Wilderness, in the Santa Fe National Forest. 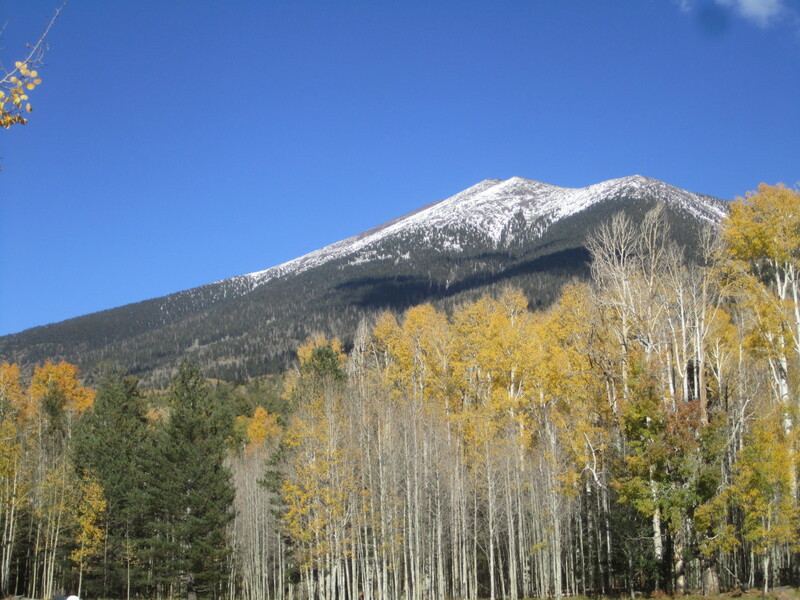 It is part of the Sangre de Cristo Mountain range, on the southern edge of the Rocky Mountains. Tererro is east of Santa Fe, New Mexico, and north of Pecos. Pecos is just off of Interstate 25. 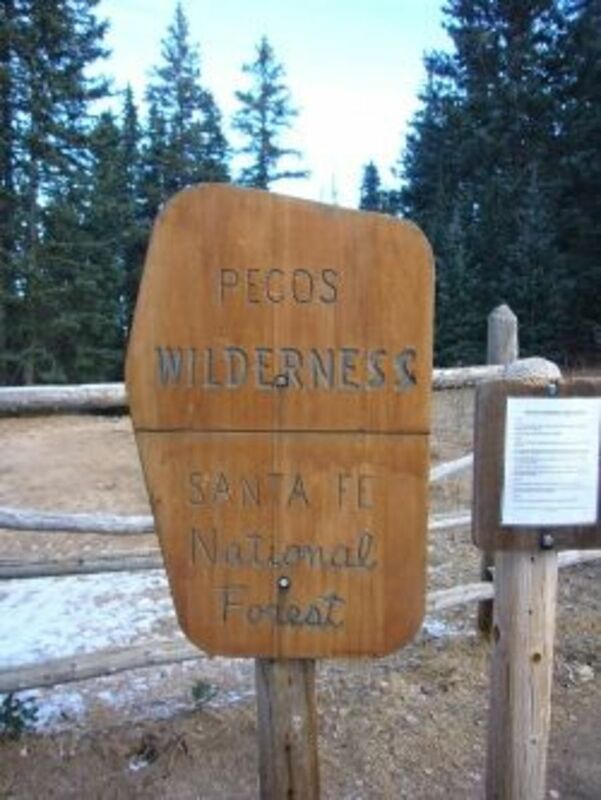 Once you get to Pecos, get on Hwy 63, and head north for about 15 miles. On a regular road, this would only take you about 15-20 minutes to get to Tererro. However, this road winds around and through the mountains, and it is pretty slow going. It is a two-lane road, so you'll need to watch for on-coming traffic, especially around the curves. And also watch for rocks - either in the road, or falling from the mountains. It usually takes us about 30 minutes or more to reach Tererro from Pecos. When you arrive in Tererro, you'd never guess that this small spot in the road used to be a bustling town! Today, the town of Tererro is made up of a general store and post office. Inside the general store, you'll find just about everything you need for your vacation. On the far left side of the store is the post office. Here, you can buy stamps and send packages, just like in any post office around the country. The middle of the store contains groceries. Dairy products, eggs, meat, frozen items, ice cream, bread, condiments, and much more are available. There are also cleaning supplies, items of a personal nature, pet food, and automotive supplies. On the right side of the store is fishing tackle, rods & reels, magnifying glasses and sunglasses; camping supplies; books & postcards; souvenirs, and clothing. In the back of the store, you'll find coin-operated washers & dryers, so you don't have to bring so many clothes with you. A shower is also available if you want to clean up on the way home. Outside the general store to the left, you'll find what used to be the riding stables. Horse trips were offered up until 2012, when the owners of the store decided it was no longer profitable. The rides were great fun, and my family went on them every year. We rode up the side of the mountain into the forest, and there was no telling what we would see along the way! 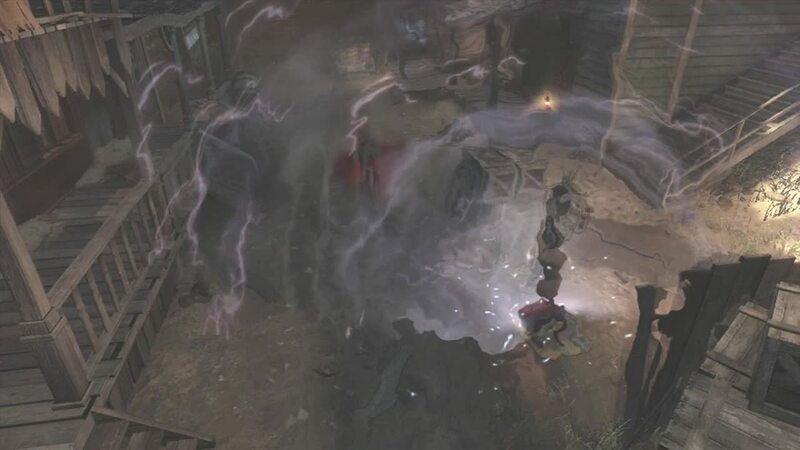 If you wish to take a horse trip now, you'll need to contact one of the stables in nearby Pecos or other nearby towns. 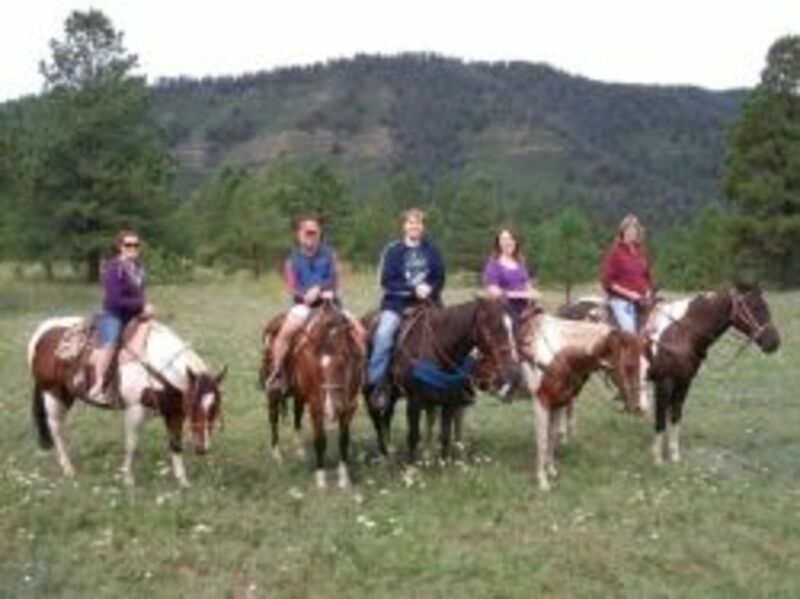 There are trips for beginners, more serious riders, campers & hunters. Tererro is one of the greatest places to see hummingbirds in their natural habitat. It is one of the breeding grounds for 3 types: the Broadtail, Rufus, and Calliopie. The birds begin arriving in March, and stay through mid-September when they head back to the Caribbean. 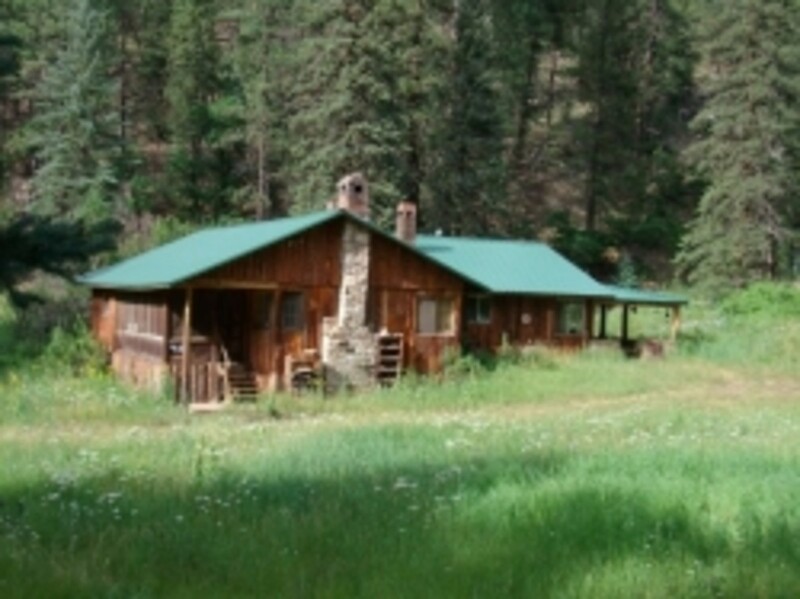 Several years ago, hummingbird researchers leased our cabin for a year, in order to study the hummingbirds. They caught them, banded them, wrote a few notes about each one, then sent them on their way. They banded close to 2000 individual birds that year, and found that the majority of them returned. 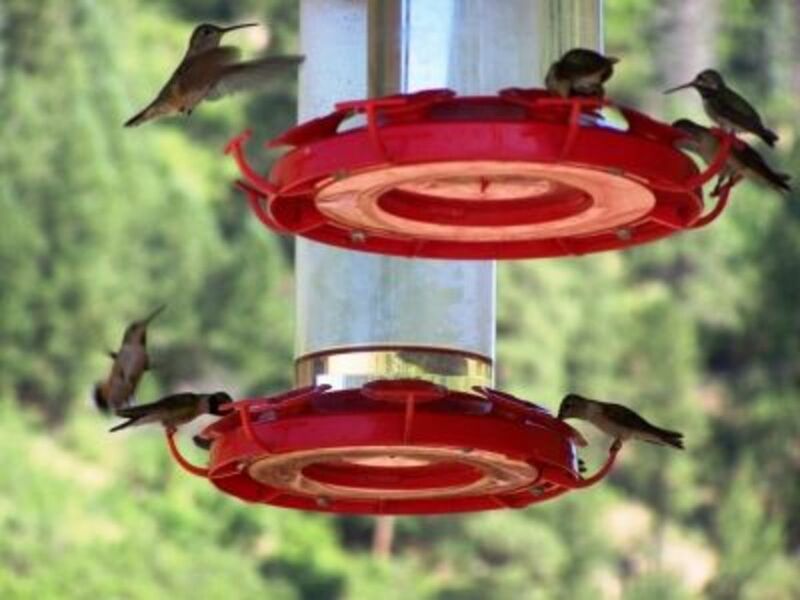 A great place to view the hummingbirds is on the porch of the general store. The store owner's wife - Sherry Ley - hangs several gallon-size feeders on the porch, which she fills daily. There are more birds early in the morning and just before dusk. However, no matter what time of day you visit, there are always hummingbirds at the store. It's really relaxing to sit on the porch, watch the birds, and listen to the river. To the left of the store is the Pecos River. The fishing here is amazing! It is stocked by the Lisboa Springs Fish Hatchery, which is located just outside of the city of Pecos. Purchase a fishing license before you head up the mountain, then fish for rainbow trout either from the bank, or in the river. You might want to bring hip waders with you, as the water is really chilly all year. If you like to camp out, Tererro has a free campground across the Pecos River from the general store. It is small, with about 10 campsites. But it does have a few picnic tables and portable toilets, so it is not totally rustic. If it is too crowded for you in Tererro, you can continue up the mountain towards Cowles. There are more campsites and fishing areas between the two towns. 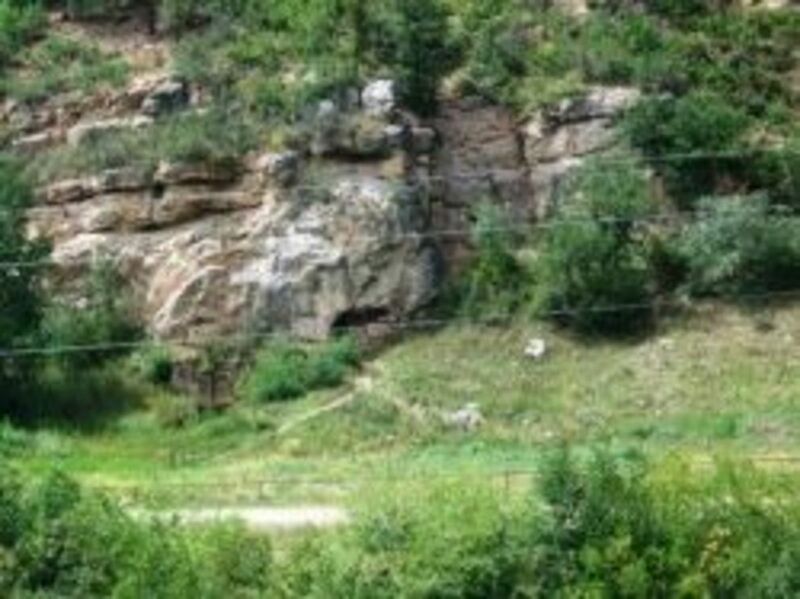 One interesting thing of note: There is a cave in the cliff to one side of the campgrounds. One of the native Indian tribes - I can't remember which - claimed a few years back that the cave belonged to their ancestors. They planned a lawsuit to have the town of Tererro given back to the tribe, because of religious ceremonies held in the cave. You can actually look into the cave, but there are bars across the entrance. If camping and fishing aren't enough for you, there are attractions nearby that you may find interesting. They are both right outside of Pecos, so you'll have to drive back down the mountain to visit them. The first is the Lisboa Springs Fish Hatchery. It was built in 1927, and is one of the oldest hatcheries in New Mexico. They raise about 135,000 rainbow trout each year, which they release into the Pecos River. It is an interesting tour, and won't take but a few minutes of your time. What is Monastery Lake without a monastery? 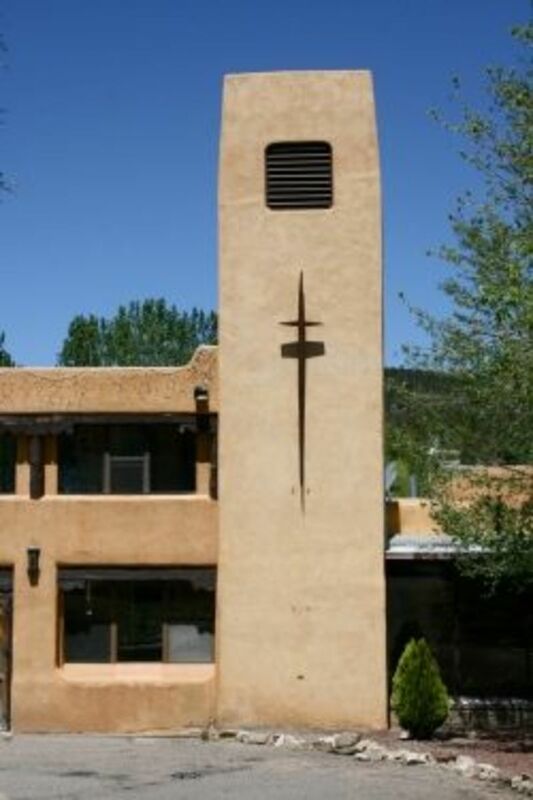 Next to the lake is the Pecos Benedictine Monastery. It's also known as Our Lady of Guadalupe Abbey. They have rooms for rent, in addition to offering spiritual retreats. I have never stayed there, so I don't know much about that part of the monastery. However, they do have a gift shop full of really interesting items. I have purchased jewelry here. The gift shop also offers candles, books and posters, and a few other items. Tererro does not have any restaurants, so you are on your own for cooking. Pan-fried or grilled rainbow trout is great, but it's not likely you will want fish for breakfast! The closest restaurants are in Pecos. There are a couple of Mexican food places, and a Dairy Queen. Keep in mind that the Mexican food here is different than you'll get in other states. For example, if you ask for chili, they'll ask you "Red or green?" It's not a meat & bean mixture. Instead, it is a sauce made of Hatch chili peppers that you put on other foods, such as enchiladas. The next closest place to have a sit-down meal is in Santa Fe. It is a really big city, with a lot of restaurants and activity. It is a fun place to visit for a day trip. Official website for Pecos, New Mexico. Provides maps of the area, including Tererro. Also includes information on places to stay, area activities, and restaurants. Would you like to visit Tererro, New Mexico? Do you have any questions or comments about the area? Please share them here! I used to go here back in the 80's with my family. I had a chance to fulfill my dream and take my kids a few years ago and they loved it. I remember when the cave was open to the public! It was awesome! @captainj88: There's not a whole lot of room nearby for building... but there are plenty of them in the area for rent or sale! So is there room for another log cabin? I wanna build one nearby. Seems like a really idyllic place! @pawpaw911: New Mexico is fairly diverse. In the cities, you'll see a lot of brown, and desert-like plants. But the mountains are absolutely beautiful with all the tall, green trees! Thanks for the visit &amp; comment. Much appreciated! Very beautiful place. I was in New Mexico when I was a kid, but don't remember much about it. Thanks for bringing a beautiful place to notice. Looks like a good one for holidaying. Beautiful country, I haven't heard of Terrero. Going to ABQ this summer for my parent's wedding anniversary (50th), but I don't know if we'll get a chance to explore out that way...might get to Santa Fe, though. What a treausure filled state! It looks like a really nice place to spend some time.. This sounds like a nice place to visit. I have never been to New Mexico, and I am quite surprised at all the "green" in your pictures. I thought it was mostly desert. 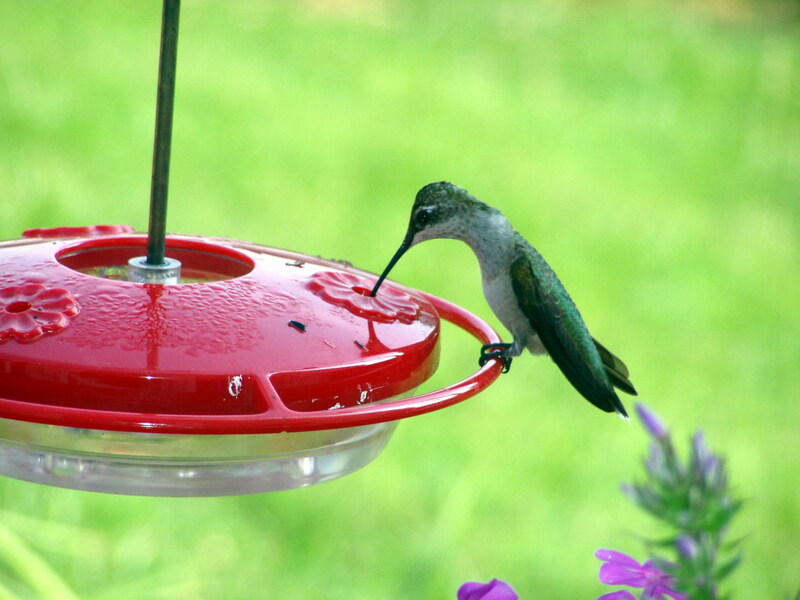 I'd love to see the hummingbirds! Thanks for introducing me to somewhere new. New Mexico was not on my list before your lenses but now.....things have changed. It looks like a wonderful place and a nature's lover paradise. My husband and son love camping. aaah, what a lovely hideaway! New Mexico is one of those States you never hear anything bad about. Looks wonderful! I don't fish or ride, but I can see going to visit just for the hummingbirds. What a great idea to put GALLON feeders? There must be hundreds of them! How interesting. Great shot of the humingbird. Now this looks like my kind of place to vacation! The kids would love the horseback rides, and spending a day at the lake. Yes, we'd love to visit. Got room in the cabin for a family of eight? Looks like a great place to visit, well done and congratulations on your 25th. The trees and terrain there look somewhat similar to the mountains where I live, here in Colorado. Looks like a great place to visit, but I imagine it must be hard to want to leave, when the time comes! Great lens! Brought back memories of high school days when my two best friends &amp; I went to Cowles NM with their parents and stayed in a cabin for one week. We rode horses through the mountains (sometimes that was scary looking down the mountain from horseback). The river ran by our cabin. My friends and I plan to repeat that get-away again soon since our children are grown now. I was born in Fort Sumner NM and this state is one I know well. The area you describe is beautiful. There are many reasons that New Mexico is really "The Land of Enchantment". We are campers and apparently have missed this spot. We travel the 25 to visit friends in Colorado. Next time, we will get off the highway to check it out. Thanks for all the helpful information. It sounds perfect! Terrero sounds great. I love small towns and your description is inviting. 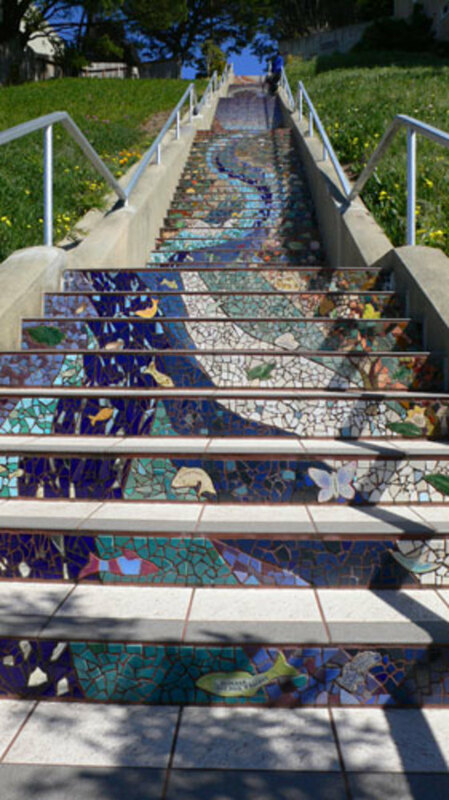 I love to learn about these little places that are not typical tourist traps...well done! :) And yes, now I want to visit Terrero!